Chinese Buddhism refers collectively to the various schools of Buddhism that have flourished in China since ancient times. These schools integrated the ideas of Confucianism, Taoism and other indigenous philosophical systems so that what was initially a foreign religion (the Buddha Dharma) came to be a natural part of Chinese civilisation albeit with its own unique character. Buddhism has played an enormous role in shaping the mindset of the Chinese people affecting as it has aesthetics, politics, literature, philosophy and medicine. Over time Buddhism became a popular force in the lives of the Chinese, from the common people to the emperor himself. In fact, by the sixth century, Buddhism rivaled Daoism in popularity and political influence. It was during this time, and over the course of the next three centuries, that major schools of Chinese Buddhism formed. Two schools that retain their influence today are Pure Land Buddhism and Chan (Zen) Buddhism. Even in mainland China, where religion is often suppressed by the government, there are practitioners of these two schools of Chinese Buddhism. Buddhism in China – as is the case with religious Daoism and Confucianism – also underwent many changes throughout the country’s history and was varied in its social and religious manifestations and philosophical beliefs. 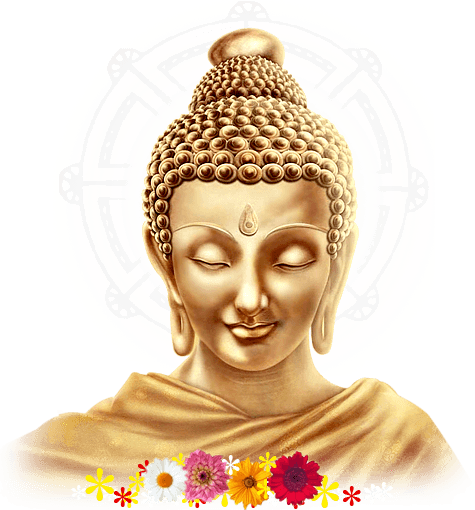 Most scholars think of Buddhism as many Buddhisms. In the so-called classical period of Buddhism in China (Tang dynasty, 618–907 CE), there were a number of schools of Buddhism that taught and promoted their own philosophies and meditation practices. The Huayen and Tiantai schools, for instance, varied in philosophy, location, and political influence. The teachings of various schools influenced and were adapted by Korea and Japan. During the Tang Dynasty while at its peak of vitality, Chinese Buddhism produced numerous spiritual masters of outstanding brilliance. Their legacy is among China's greatest treasures. It was during the early Tang dynasty that the monk Xuanzang journeyed to Nalanda in India and other important sites to bring back scriptures. He sought to expand influence of Mahayana over Theravada, though the Yogacara school he preferred differs significantly from the later Chinese Mahayana schools that developed such as Pure Land (see Journey to the West). The Tang capital of Chang'an (today's Xi'an) became an important center for Buddhist thought. From there Buddhism spread to Korea, and Japanese embassies of Kentoshi helped gain footholds in Japan. Buddhist ideology began to merge with Confucianism and Daoism, due in part to the use of existing Chinese philosophical terms in the translation of Buddhist scriptures. Various Confucian scholars of the Song dynasty, including Zhu Xi (wg: Chu Hsi), sought to redefine Confucianism as Neo-Confucianism. The popularization of Buddhism in this period is evident in the many scripture-filled caves and structures surviving today. The Mogao Caves near Dunhuang in Gansu province, the Longmen Grottoes near Luoyang in Henan and the Yungang Grottoes near Datong in Shanxi are the most renowned of the Northern, Sui and Tang Dynasties. The Leshan Giant Buddha, carved out of a hillside in the 8th century during Tang Dynasty and looking down on the confluence of three rivers, is still the largest stone Buddha statue in the world. As a side note, duplications of Buddhist texts were considered to bring meritorious karma. Printing from individually carved wooden blocks, from movable clay type and from movable metal type, proved much more efficient and eventually eclipsed hand copying. The Diamond Sutra of AD 868, a Buddhist scripture discovered in AD 1907 inside the Mogao Caves, was the first dated example of block printing.